Vantage Capital, Africa’s largest mezzanine fund manager, announced today that it has provided $20 million (R294 million) of funding to Landmark Africa, one of Nigeria’s leading property developers. Landmark has developed or managed over 130,000 m2 of prime real estate across the continent. The real estate company is headquartered in Lagos, with offices in several countries including South Africa and the United Kingdom. 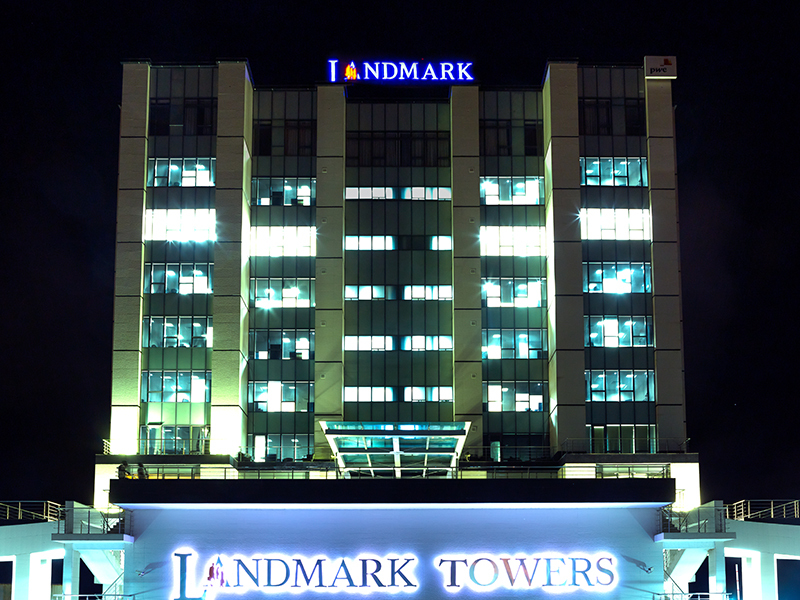 Over its nineteen-year history, Landmark has built a high-quality property portfolio, including A-Grade offices for over 100 corporate clients including the Nigerian headquarters for PriceWaterhouseCoopers and Procter & Gamble and provided development management services for one of the largest malls in Nigeria. Investment One Financial Services acted as Lead Corporate Advisor on the transaction. Landmark is currently building Landmark Village, which will be an iconic “Live, Work, Play” mixed-use development with breath-taking sea views in the exclusive area of Victoria Island. They have already completed a cutting-edge, spacious 2,500 person events centre, an unparalleled Japanese Shiro restaurant and a vibey Hard Rock Café just a stone’s throw from the beach. Landmark will soon enhance the development with a state of the art training centre and two extraordinary multi-tiered office buildings with over 20,000 m2 of dynamic office space. The premises will also encompass a 4-star luxury hotel, fully serviced extended stay apartments and upscale residences for sale, each offering a unique residential experience. Landmark Village will benefit from a vast parking tower providing an abundance of parking space for all residents and guests. The first of its kind Landmark Village precinct will provide preeminent comfort for a demanding office, retail, leisure and residential clientele in Nigeria’s commercial capital. The Landmark investment is Vantage Capital’s second transaction in Fund III, which is targeting a final closing of $260 million (R4 billion), and has a 60% allocation to countries outside South Africa. A Namibian and a South African transaction are expected to close during the first half of 2016 for a further aggregate investment of over $22m (R330m). Werksmans and Adepetun Caxton-Martins Agbor & Segun were the main legal advisors. Vantage Capital Group was established in 2001 and currently manages over $540 million (R8 billion). In addition to managing mezzanine debt, renewable energy debt and technology funds, Vantage also provides advisory and origination services through its debt capital markets division and makes proprietary investments using its balance sheet capital. Vantage has offices in Johannesburg and Cape Town and targets mezzanine debt opportunities in a number of high-growth African countries including South Africa, Ghana, Nigeria, Ethiopia, Kenya, Tanzania, Uganda, Zambia, Botswana and Namibia. Mezzanine is an intermediate form of risk capital, which is situated between senior debt, the least risky tranche of the capital structure, and equity, the most risky. It combines elements of both debt and equity thereby providing companies with long-term funding on terms which are less dilutive to shareholders than pure equity.